Four fully functioning houses recon-structed in the style of the 4th c. A.D. at the original location with antique building technique and materials. 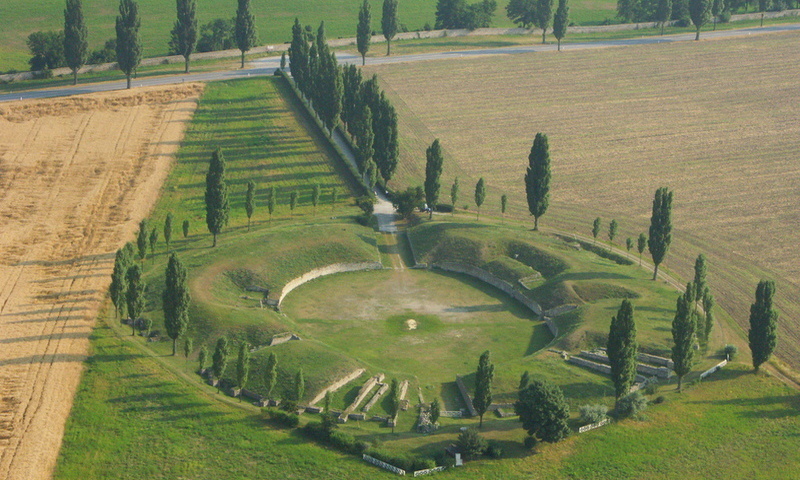 Set outside the city walls, the amphitheatre erected in the 2nd c. A.D. held up to 13.000 spectators for entertainments of all sorts. 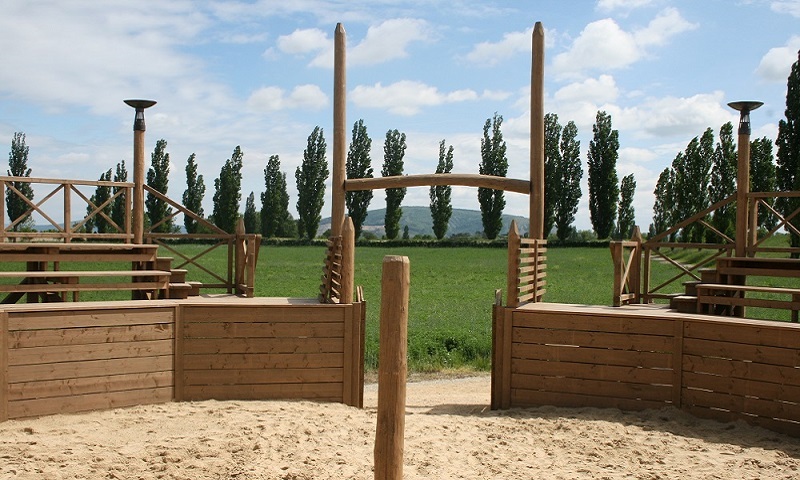 Situated directly next to the Civilian City's Amphitheatre, the training arena made of wood was re-erected in 2014. 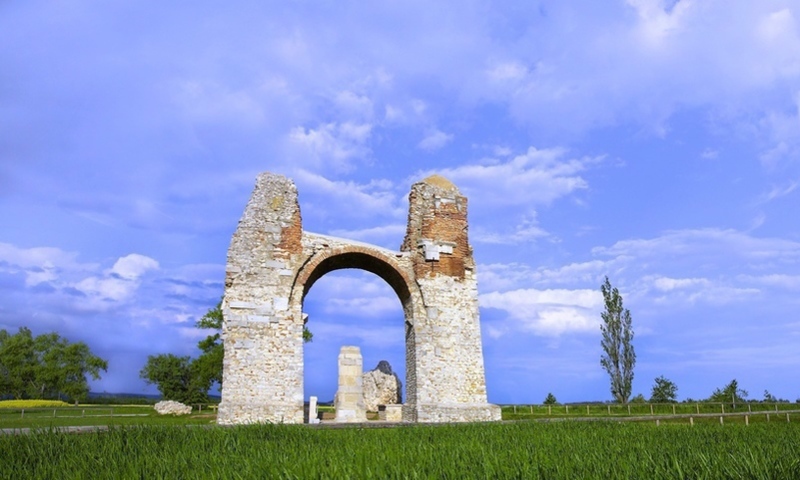 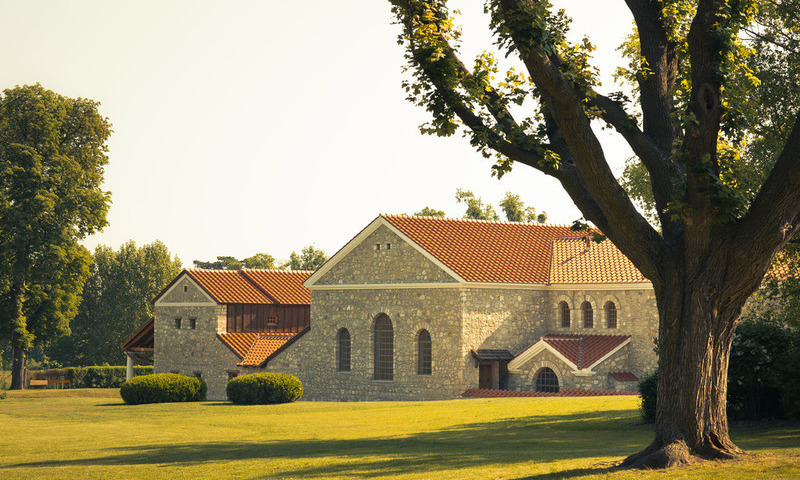 The remains of a triumphal monument dating back to the 4th c. A.D. are Carnuntum's emblem. 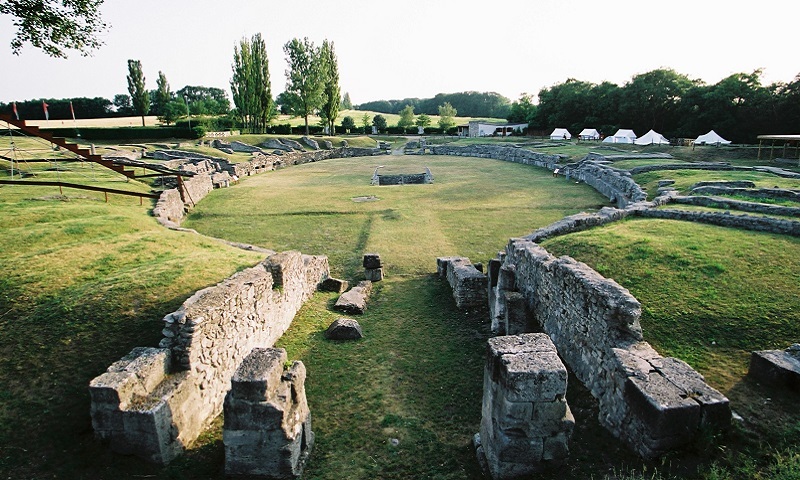 The older among Carnuntum's two amphitheatres was constructed in the 1st c. A.D. and is situated halfway from the Roman City Quarter and the Museum Carnuntinum.